Born Lawrence Wendell Pfohl in 1958, WWE fans know him better as Lex Luger or “The Total Package.” Standing an intimidating six feet and six inches tall, and weighing 275 pounds, few wrestlers in his era were built so perfectly for the sport. Despite this, Luger was never a winner. He faced Yokozuna at SummerSlam ’93 and lost by a technicality (we’ll get to that later). Two years later he would get a rematch, only to come up short again. Still, the league touted him as “The All-American” and kept him in front of the lights. 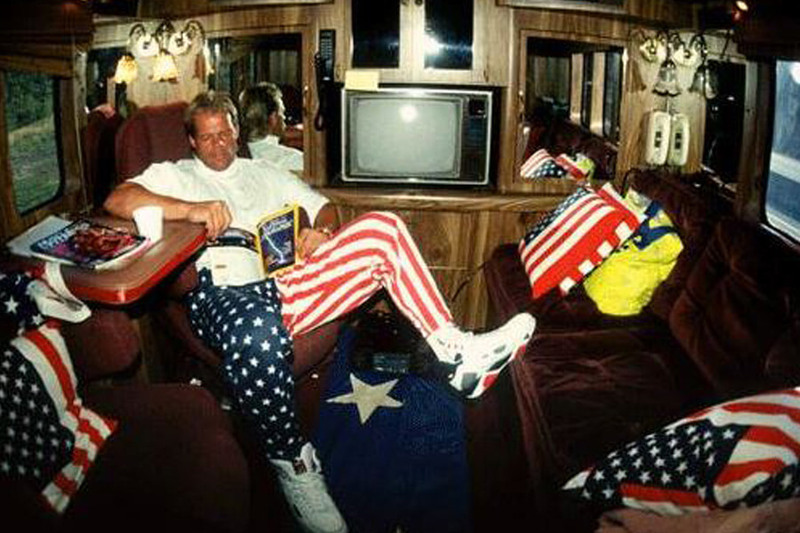 Now we’re going backstage to reveal the complex career of Lex Luger. You won’t believe how he came up with his name! Lex Luger didn’t grow up thinking he would be a WWE (WWF at the time) star. He started his career playing football. 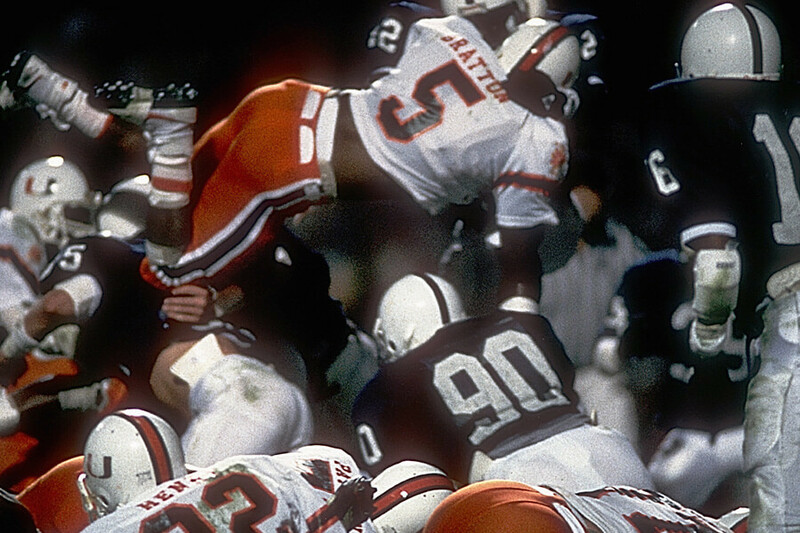 After spending a year at Penn State on a full scholarship, he transferred to the University of Miami, where he starred as a linebacker. 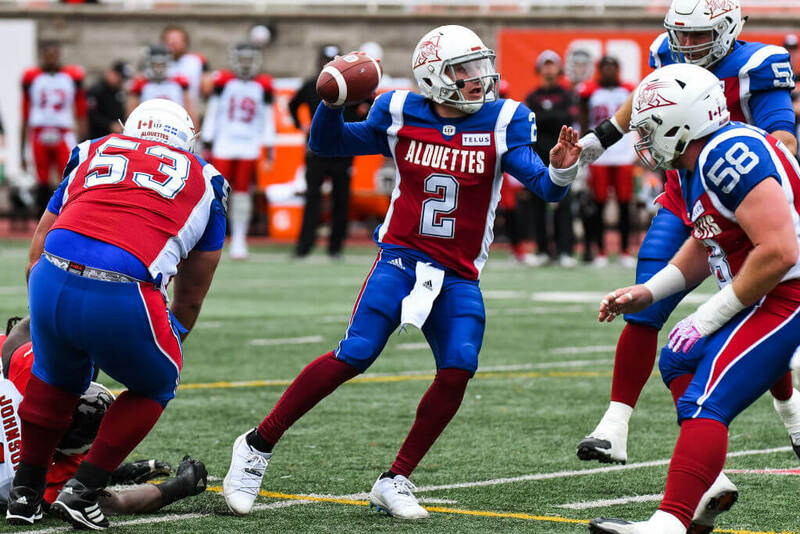 After college, Luger played in the Canadian Football League (CFL) for the Montreal Alouettes. The team made the Grey Cup with him in 1979, losing 17-9 to the Edmonton Eskimos. Luger stayed with Montreal until 1981, when he was given his shot in the NFL. One of the reasons that Luger started his career in the CFL instead of the NFL was his behavior in college. Before becoming NFL Draft eligible, Luger was kicked off the University of Miami football team for anger issues. Reportedly, Luger became upset on a road trip to Atlanta after being told he would not be starting. Already suffering from cabin fever, he threw a fit in his hotel room and trashed it. The team had only played five games at the time. Luger did not play in any more after this incident. On the next slide, find out what happened when Luger finally made it to the NFL! 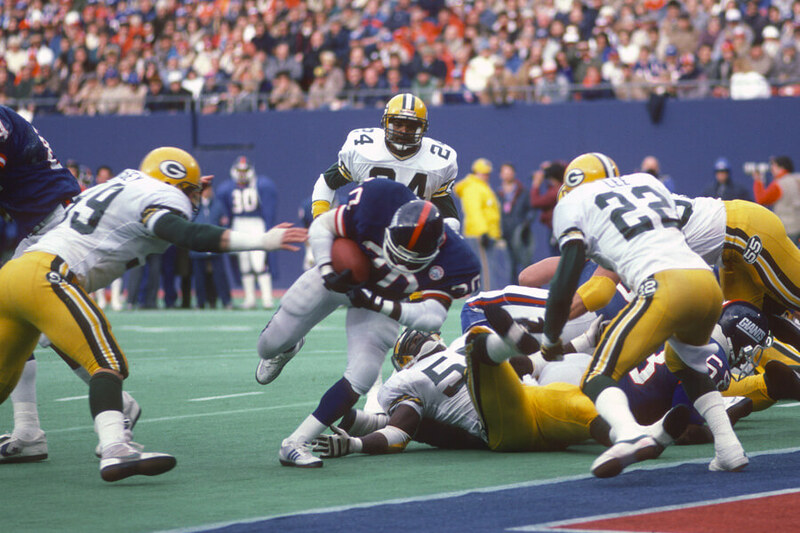 In 1982, Luger signed an NFL contract with the Green Bay Packers. He wore number 66, and was the last player allowed the privilege. After that, the number, which had previously been worn by Ray Nitschke, was retired. Unfortunately for Luger, he spent his only season with the Packers on the injured reserve with a groin injury. The next year, Luger moved to the United States Football League, where he played for the Tampa Bay Bandits, Memphis Showboats, and Jacksonville Bulls. The league folded in 1986, officially putting and end to Luger’s dreams of being a football star. Lex Luger met Bob Roop at a golfing event in Florida in 1985. Roop was a wrestler for the National Wrestling Alliance (NWA). He was impressed with Luger’s imposing physique and arranged for him to train with Hiro Matsuda. Matsuda had previously made his name training Hulk Hogan. Luger won his first match on October 1st, 1985, defeating Cocoa Samoa. The next month he defeated Wahoo McDaniel, earning the Southern Heavyweight Championship. For the next three years, Luger wrestled for the NWA, taking on the likes of Bruiser Brody, Kareem Muhammed, and Ed “The Bull” Gantner. Next up, we reveal where Luger got his name from! If you think the name Lex Luger sounds almost exactly the same as Lex Luthor, there’s a reason for that. When Luger started working with the NWA, he was cast as a heel (villain). 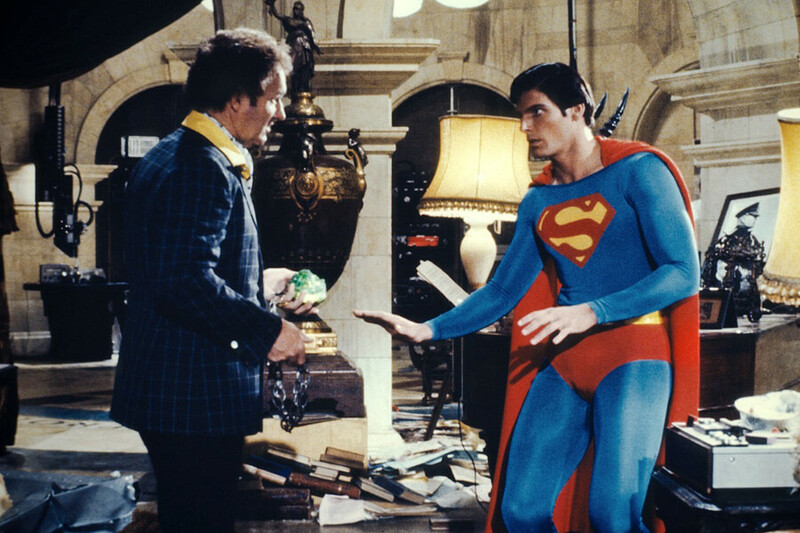 Superman’s arch-nemesis, Lex Luthor, was one of his favorite comic book villains, so he adopted a similar name in the character’s honor. For most of his early career, Luger played the villain, often appearing alongside fellow heels Rick Rude and Percy Pringle. In 1986, one year after making his debut, Luger was given the opportunity to fight wrestling legend Ric Flair. Billed as the Battle of the Belts III, Lex Luger (Lugar at the time) faced off against Ric Flair in the title match for the NWA World Heavyweight Title. The match lasted for 60 minutes and ended in a draw. 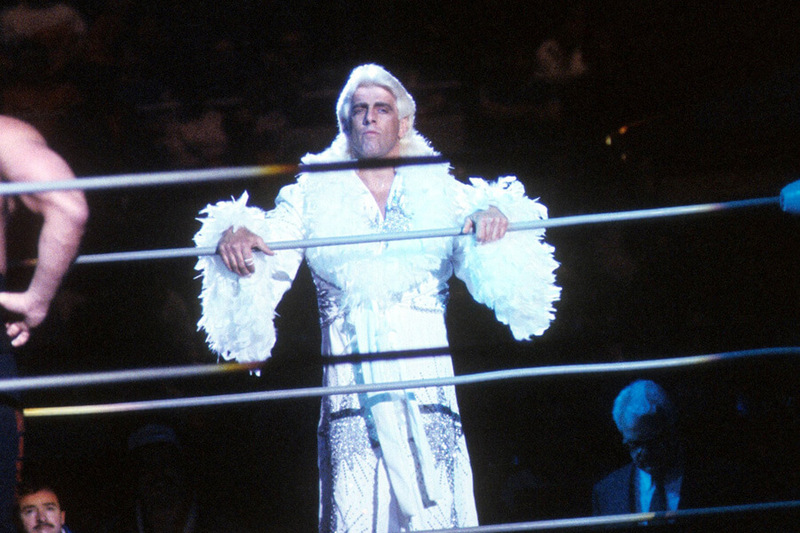 Because of this, Flair retained his belt. The next year, Luger left Florida to wrestle for Jim Crockett Promotions (JCP), which was under the NWA banner. It might have been the same league, but it was a brand new situation, and with it came a brand new personality for Luger. Next up, find out what Luger changed his name to! Working for a new promotion, Luger decided to mix things up. He changed his name to “The Total Package” and introduced “The Human Torture Rack” as his finisher move. His first job was working as an associate for Ric Flair’s “Four Horsemen” stable. He then beat Nikita Koloff for the NWA United States Heavyweight Championship, officially beginning his first JCP feud. But then he lost the title in his promotions first pay-per-view match against Dusty Rhodes. As a result, he left the “Four Horsemen,” feeling betrayed by stablemate James Dillion. Ahead, learn how bad Luger’s rivalry with Ric Flair really got! After leaving Ric Flair’s stable, Luger challenged the wrestler for the NWA World Heavyweight Championship Title. 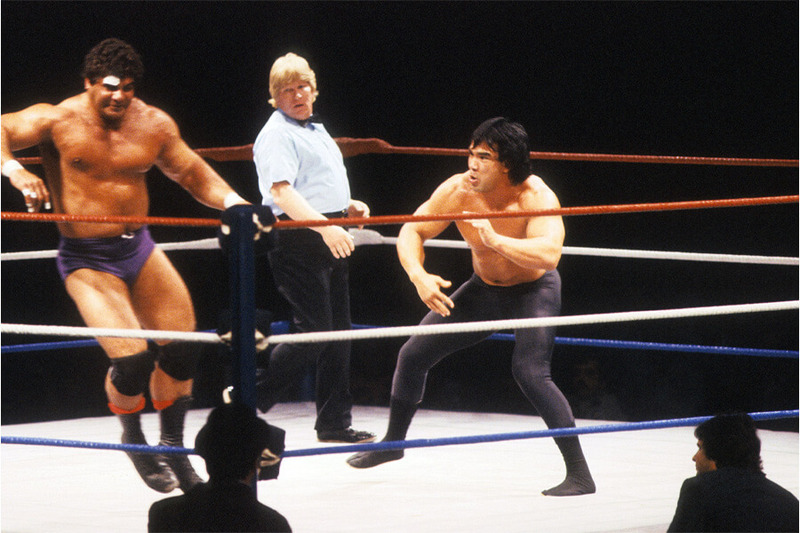 The fight took place at The Great American Bash. As Luger arrived at the match, cameras caught the Horsemen attacking him outside of his limo. Luger still managed to fight Flair, even getting him into the “Torture Rack” before the match was abruptly stopped. The referee claimed a cut on Luger’s head was bleeding profusely, so the match needed to be stopped according to the “Maryland State Athletic Commission.” In 1988, Luger was featured in another rematch with Flair and lost, continuing his bad luck streak. “The Total Package” may have been a total failure every time he faced Ric Flair for the NWA World Heavyweight Title, but he was very good at winning the United States Heavyweight Championship Title. In 1989, after winning the title for a fourth time, he held it for 523 days. The nearly two-year record still stands today. It can be viewed as one of sport’s most untouchable records and is easily the peak of Luger’s career. He would end up winning more titles, as you’ll soon learn, but none came close to the glory he felt for 523 days. In 1991, Luger was set to face off against Ric Flair for the WCW World Heavyweight Championship title. 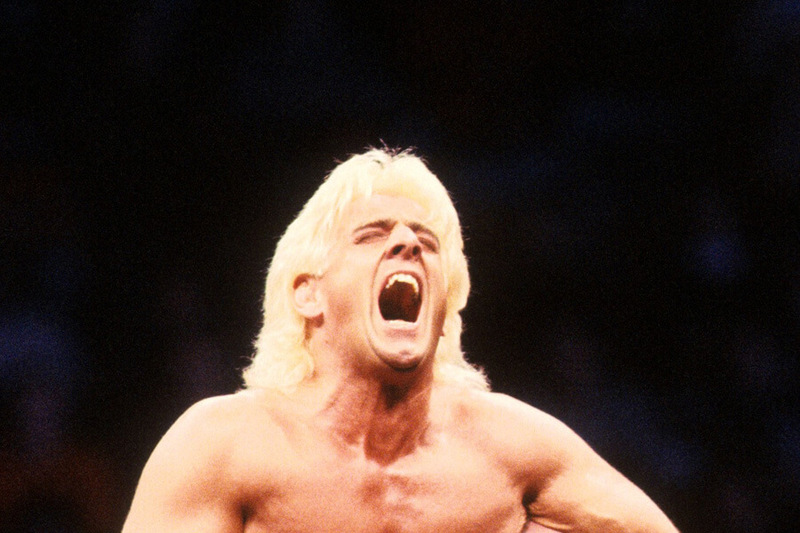 The match stipulated that if Flair was disqualified, he would still relinquish the title. 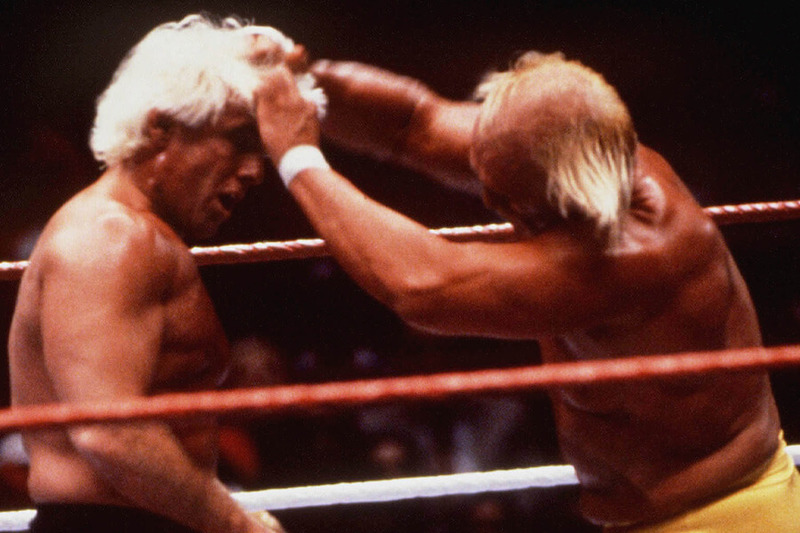 But before the fight could happen, Flair left the company, vacating the belt. He’s seen fighting Hulk Hogan in the above photo. Luger finally won his first WCW World Heavyweight Championship title when he defeated Barry Windham with a devastating “Piledriver.” Because Flair had taken his championship belt with him, Luger was forced to wear the NWA Western States Heritage Championship belt, which was fixed up to resemble the title belt. When Luger lost his WCW Title to Sting he 1992, he abruptly left the company and joined Vince McMahon’s World Bodybuilding Federation (WBF). He was featured regularly on the program, as a co-host and participant. 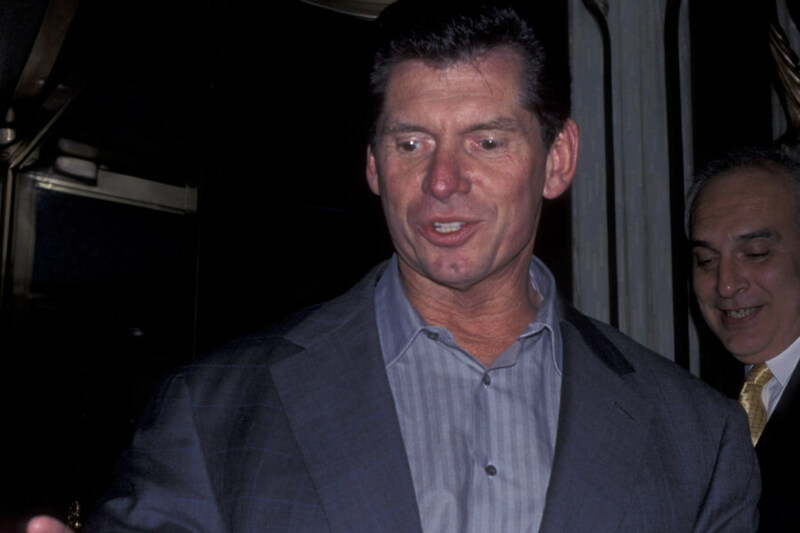 Under McMahon’s guidance, he even appeared at Wrestlemania VIII. The same year he was supposed to make an appearance at a WBF pay-per-view event when he got into a motorcycle accident. He planned to return to WBF once he was recovered, but the company went out of business before that could happen. On the next slide, find out who Luger became when he joined the WWF! 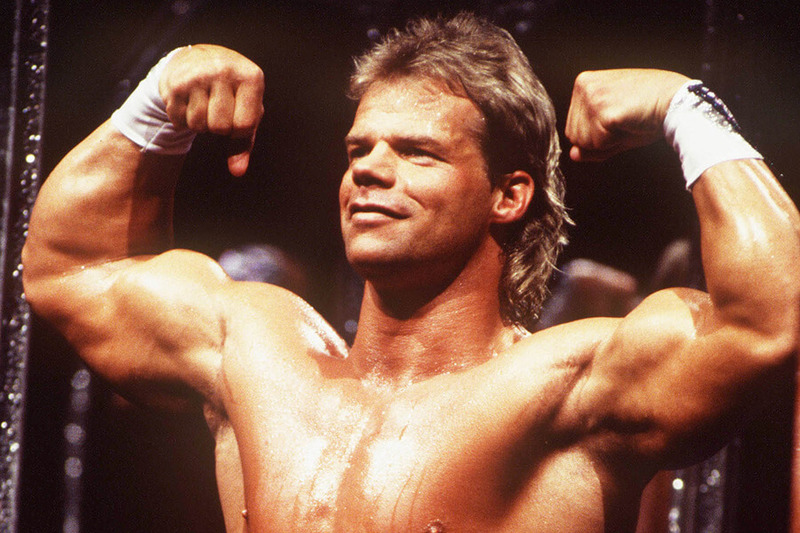 With the WBF no longer around, Luger joined the World Wrestling Federation (WWF, now WWE) and created a new character, “The Narcissist.” Before every match Luger would look at himself in front of a mirror and flex his muscles. After joining Hulk Hogan’s former stable, Lex Luger became “The All-American.” For one memorable July 4th match, he arrived by helicopter from the USS Intrepid. Once in the arena, he bodyslammed Yokozuna, a 600-pound behemoth that no one else was even able to lift. Because of this, he was given a shot to take on Yokozuna at SummerSlam 1993 for a shot at the WWF World Heavyweight Championship. Told it would be his only shot at a title, Luger used his steel plate to seal his victory. 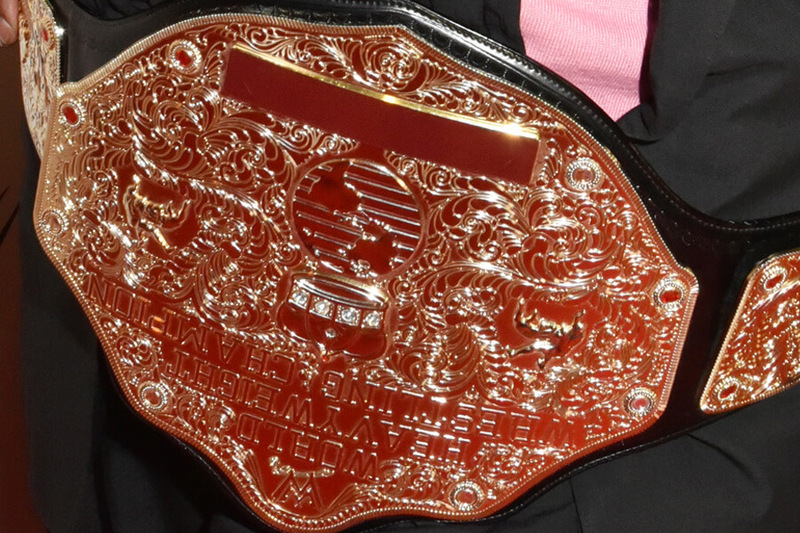 However, because he won by countout, Yokozuna retained his belt. By 1995, Luger had formed The Allied Powers with Davey Boy Smith. In June of that year, the team was given a shot to win the WWF Tag Team Championship. The only problem was that they would have to take down Owen Hart (pictured above) and Yokozuna. Predictably, Luger came up short in his effort for another major championship. Upset with his inability to win it all, Luger left WWF when his contract expired. He made the decision without telling Vince McMahon. The move allowed him to return to WCW, where he had been at his most successful in the past. Luger’s return to WCW turned out to be a blessing in disguise. He signed a contract for $150,000 a year to jump ship from WWF, and the move paid off. At Spring Stampede in 1997, Luger fought Hulk Hogan for the WCW World Heavyweight Championship. The impromptu match saw Luger defeat the iconic wrestler and win his second major championship. 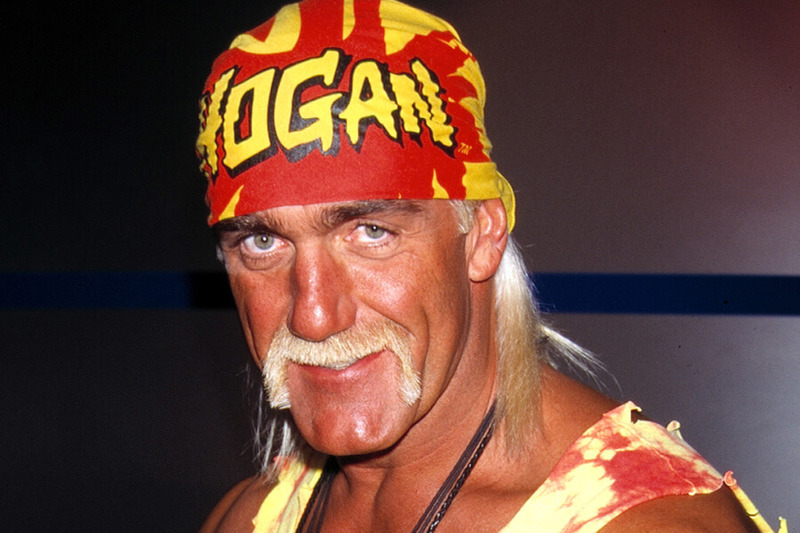 Five days later, however, Hogan won the title back at Road Wild. Luger would never win another world heavyweight championship. Coming out, find out what happened as Luger’s career came to an end. In 2002, Luger semi-retired from the world of professional wrestling. He toured Europe with the World Wrestling Association (WWA), and made his final appearance in December of that year, losing a match to Sting. For the next several years, Luger popped up sporadically on the independent circuit. Luger’s final match of his illustrious career took place on August 26, 2006. He participated in the main event for a United Wrestling Federation event in Oklahoma. He teamed up with Buff Bagwell (pictured above) and defeated Jeff Jarrett and Scott Steiner. 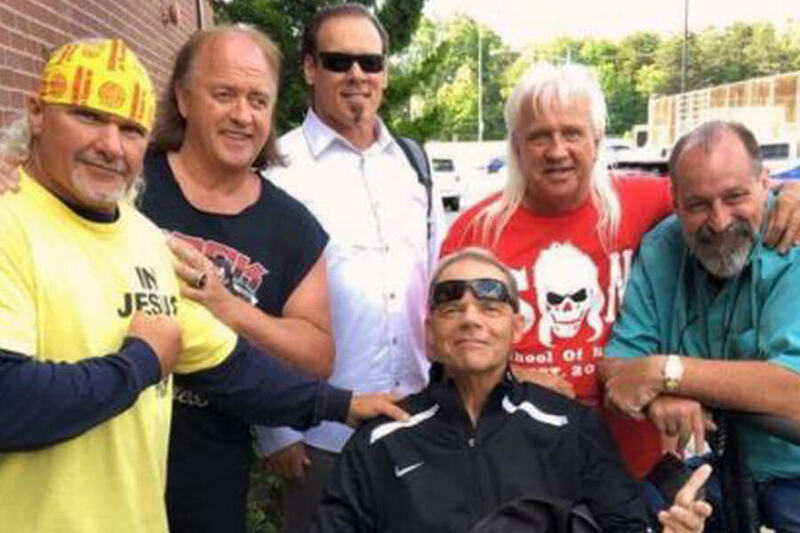 Luger suffered a spinal infarction in 2007 that nearly left him paralyzed for life. 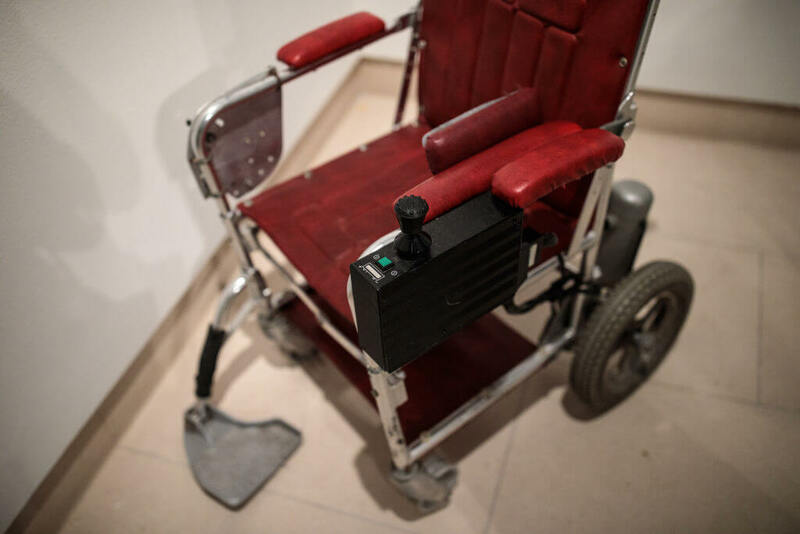 A nerve in his neck impinged on itself and left him in a state of paralysis. Doctors treated him with intravenous antibiotics and said he would make a full recovery. After a month, Luger still had no movement in his arms or legs. Almost one year later Luger said he could stand on his own for short periods of time. In 2010, three years after the injury and treatment, Luger revealed that he was able to walk and drive again. In 2003, Luger’s girlfriend was found dead. 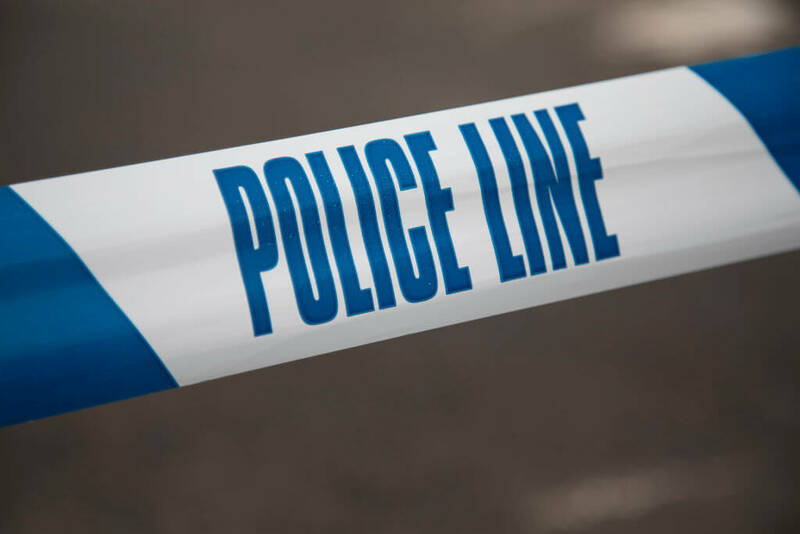 She had consumed a lethal mix of prescription medications and alcohol. A police investigation ruled the death an accident, but Luger was charged with 13 felony counts of possession and sentenced to five years of probation and periodic testing for substance abuse. Two years into his probation, Luger was removed from a flight to Manitoba for failing to obtain permission to leave the country. For violating his probation, Luger was sentenced to four months in Cobb County, Georgia, Jail. He only served three, being given credit for one month previously served. In 2006, Luger announced on Praise the Lord that he was a born-again Christian, in an interview conducted by guest host and friend Sting. 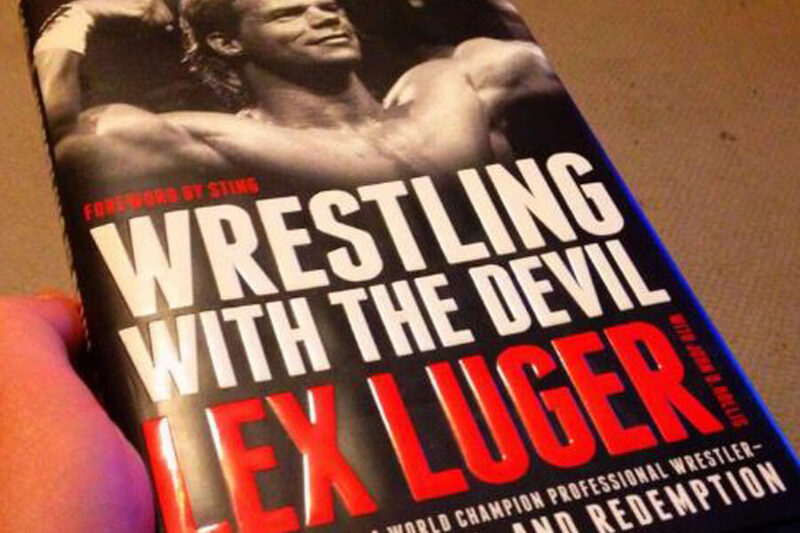 In the emotionally charged segment, Luger opened up about the downward spiral of his personal and professional life. These events, including the death of his girlfriend, led him to turn to God. After converting, things improved significantly for Luger. He released a memoir in 2013 detailing his rise, fall, and rebirth titled Wrestling with the Devil: The True Story of a World Champion Wrestler — His Reign, Ruin, and Redemption. Today, he lives in Buffalo with his parents, enjoying the simple pleasures in life. If you want to relive his wrestling days, he’s a playable character in almost every WWE video game that has been released recently.